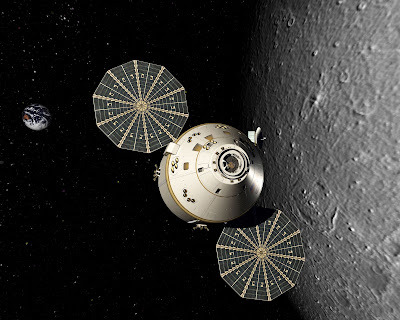 According to a press release, NASA plans to add an unmanned flight test of the Orion spacecraft in early 2014 to its contract with Lockheed Martin Space Systems for the multi-purpose crew vehicle's design, development, test and evaluation. This test supports the new Space Launch System (SLS) that will take astronauts farther into space than ever before, create U.S. jobs, and provide the cornerstone for America's future human spaceflight efforts. "President Obama and Congress have laid out an ambitious space exploration plan, and NASA is moving out quickly to implement it," NASA Associate Administrator for Communications David Weaver said. "This flight test will provide invaluable data to support the deep space exploration missions this nation is embarking upon." This Exploration Flight Test, or EFT-1, will fly two orbits to a high-apogee, with a high-energy re-entry through Earth's atmosphere. Orion will make a water landing and be recovered using operations planned for future human exploration missions. The test mission will be launched from Cape Canaveral, Fla., to acquire critical re-entry flight performance data and demonstrate early integration capabilities that benefit the Orion, SLS, and 21st Century Ground Systems programs. The agency has posted a synopsis explaining its intention on NASA's procurement website. NASA also intends to release several competitive solicitations to industry in the near future. One solicitation will request proposals for the design, development, test and evaluation of a new advanced liquid or solid booster capability for the SLS. Another future contract NASA intends to compete will be for the development of spacecraft, and payload adaptors and fairings for crew and cargo missions. The competition and award dates for these will be determined as missions are identified. NASA is developing the Orion spacecraft to launch astronauts to asteroids, the moon, Mars and other destinations atop SLS, the agency's new heavy launch vehicle. An early orbital flight test such as EFT-1 will provide data needed to influence design decisions and serve as a pathfinder to validate innovative new approaches to space systems development. The goal is to reduce the cost and schedule risks of exploration missions.